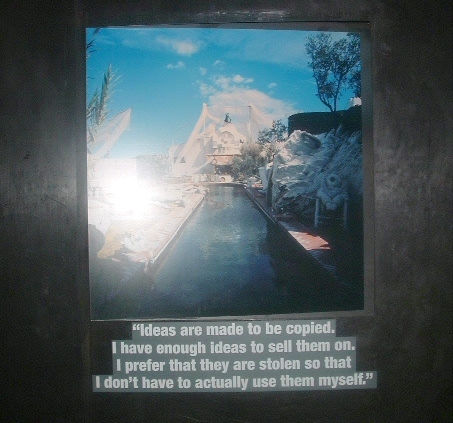 Flash-assisted photograph of a Salvador Dali oil painting and border on display in the West End with associated quote by Dali himself adhered to the presentation, below. 3D Chest X Ray, cancer diagnosis? 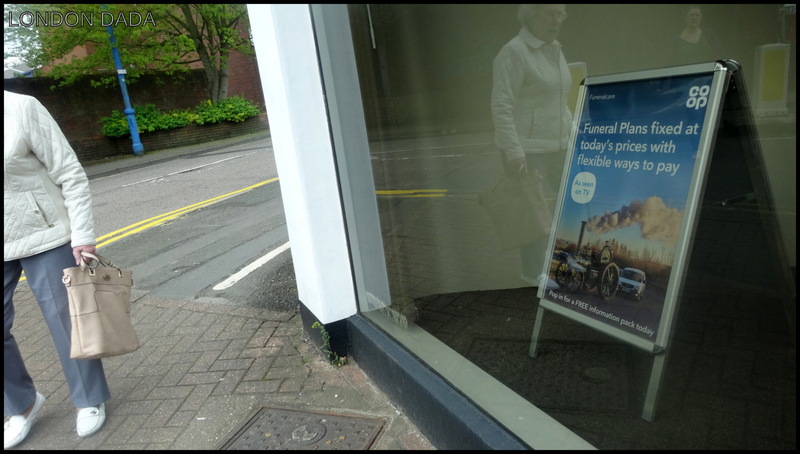 Out and about in Barnet, N. London / Herts; an unfortunate advertisement, yet remaining subliminal to the vast majority, who observe purely retinally.